Tygh (pronounced "Tie") was whelped on July 30, 2008 out of Thunderhill's Trooper and Tomoka's Rainey. Tygh has a very strong pedigree for a shoot-to-retrieve hunter; 11 NSTRA Champions and 10 open field Champions in five generations. His natural abilities have been readily apparent since a very young age, as has his stylish presence in the field. Physically, Tygh is remarkable; long legs, straight back, high head and tail, and an extremely high PennHIP score (95 percentile). From the beginning, Tygh was destined to become a fine bird dog. Tygh is an exceptionally affectionate dog, even for a Setter. He is well socialized with other dogs and people. As a puppy, Tygh was more than eager to learn commands and to perform those behaviors that please his humans. He lives to run, hunt and play! 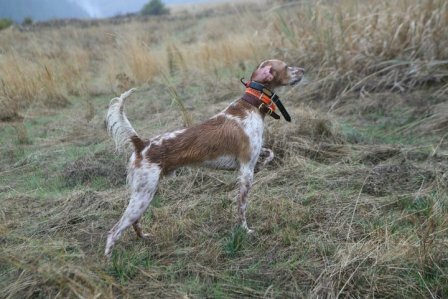 Tygh was too young to hunt by himself in 2008, but was able to chase around after the others and to learn how to scent birds. He was hard working and quite dependable in 2009, his first real bird season. 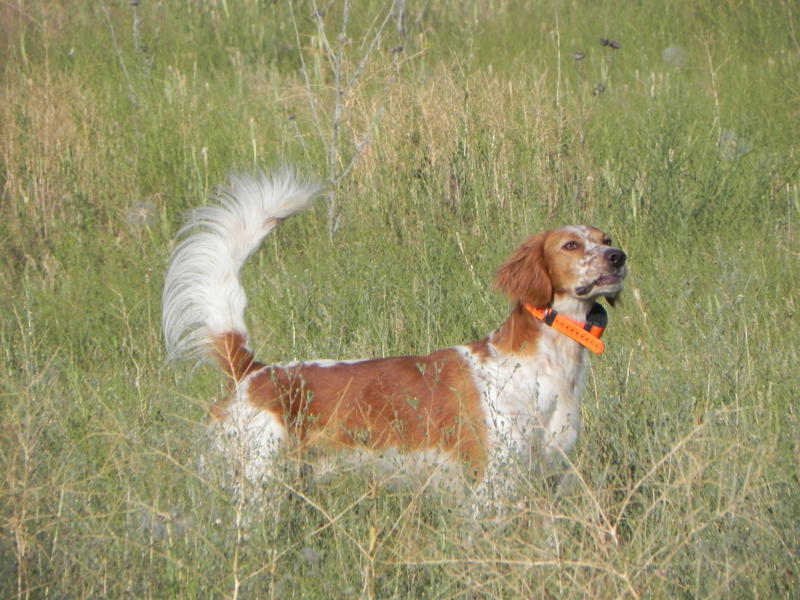 He joined us during weeks of hunting for pheasants, chukar and gray partridge in Idaho, and he pointed the trifecta of quail in Arizona. After spending much of the summer learning manners at "camp", we enjoyed a wonderful 2010 hunting season with Tygh. During the 2010 field trial season Tygh really came into his own. Tygh was entered into a single NSTRA trial in September and won a derby placement with a four-bird brace. Tygh had an excellent year hunting chukar and gray partridge, and we were able to put him on lots of birds while guiding (mostly pheasants). Tygh was a real favorite of young hunters at the "Kids' First Shot Day" at Little Canyon. He is as dependable and steady as any of the more experienced dogs, and is a wonderful compliment, in both style and personality, to the rest of our team.